We are very selective about the software programs we sell to our customers. We choose programs that fill a need in the lives of our creative customers and are simple to use. We then back them up with high quality education and support to help insure your success. 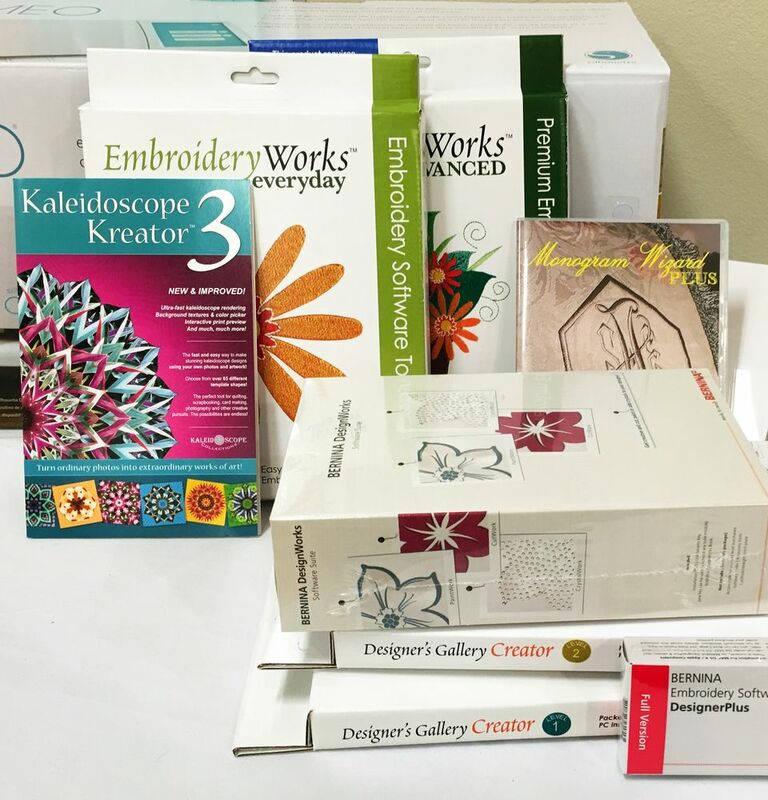 We proudly represent the Designer’s Gallery brand, Artistic Suite, Monogram Wizard, Kaleidoscope Kreator, Floriani and many beautiful embroidery design products. Visit the technology section in our stores to see how technology can help you maximize your creativity and time.